Computer clusters are widely used platforms to execute different computational workloads. Indeed, the advent of virtualization and Cloud computing has paved the way to deploy virtual elastic clusters on top of Cloud infrastructures, which are typically backed by physical computing clusters. In turn, the advances in Green computing have fostered the ability to dynamically power on the nodes of physical clusters as required. 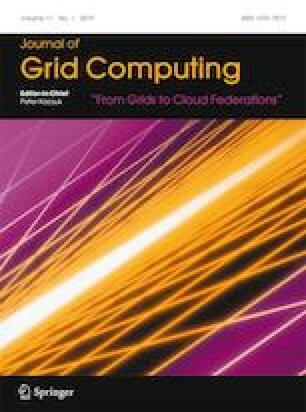 Therefore, this paper introduces an open-source framework to deploy elastic virtual clusters running on elastic physical clusters where the computing capabilities of the virtual clusters are dynamically changed to satisfy both the user application’s computing requirements and to minimise the amount of energy consumed by the underlying physical cluster that supports an on-premises Cloud. For that, we integrate: i) an elasticity manager both at the infrastructure level (power management) and at the virtual infrastructure level (horizontal elasticity); ii) an automatic Virtual Machine (VM) consolidation agent that reduces the amount of powered on physical nodes using live migration and iii) a vertical elasticity manager to dynamically and transparently change the memory allocated to VMs, thus fostering enhanced consolidation. A case study based on real datasets executed on a production infrastructure is used to validate the proposed solution. The results show that a multi-elastic virtualized datacenter provides users with the ability to deploy customized scalable computing clusters while reducing its energy footprint. The authors would like to thank the Spanish “Ministerio de Economía, Industria y Competitividad” for the project “BigCLOE” under grant reference TIN2016-79951-R. The results of this work have been partially supported by ATMOSPHERE (Adaptive, Trustworthy, Manageable, Orchestra- ted, Secure, Privacy-assuring Hybrid, Ecosystem for Resilient Cloud Computing), funded by the European Commission under the Cooperation Programme, Horizon 2020 grant agreement No 777154.